I am famous in my family for my coconut cream pie. Every Thanksgiving and Christmas I have multiple requests for my old-fashioned, made-from-scratch version of this classic dessert. My grandpa loves that it has coconut actually mixed into the filling, instead of just sprinkled on top. 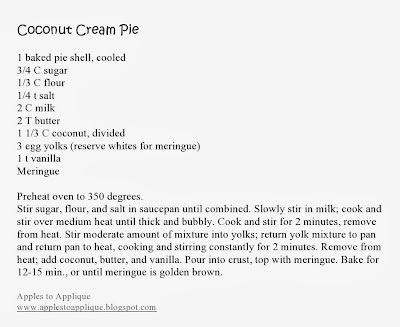 He also likes that the coconut on top is toasted with the meringue, rather than added on after the fact. This dessert takes a little time to make, but is well worth it. Just a warning, though, if you make it once, you will probably have to make it again and again! Scroll to the bottom to download a printable version of the recipe. 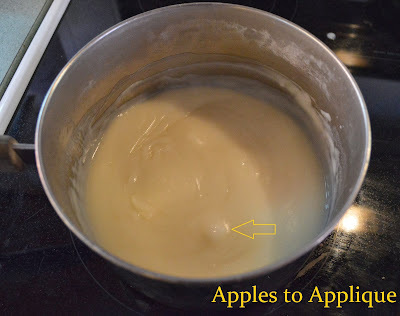 In a medium saucepan, mix sugar flour, and salt. Cook and stir over medium heat until thick and bubbly. This takes a while. At first, there will be a few lumps of flour visible. Keep cooking and stirring. Soon it will be completely smooth. Keep cooking and stirring. After a while, it will start to thicken up. You can see in the picture below that it is starting to get a little thicker. Keep cooking and stirring. When you start seeing those bubbles, cook and stir for 2 minutes, then remove from heat. Put a moderate amount (like 1/2 C or so) of this mixture into a small bowl with the egg yolks. Now, dump this mixture back into your original mixture. Mix it up well. You may be wondering at this point why you couldn't just dump the egg yolks into the pan instead of going through this extra step. I promise there is a purpose: this step helps change the temperature of the yolks slowly so that they don't scramble or fry in little pieces in your filling. Coconut cream pie with scrambled egg bits would be gross. Cook and stir 2 minutes. Add in the butter, vanilla, and 1 C of the coconut. Set the pie aside while you make the meringue. Spread the meringue on top of the pie, making lots of nice peaks with the back of the spoon. Sprinkle remaining 1/3 C coconut on top. Bake for 12-15 minutes, or until meringue is golden brown. Stand back and admire your work of art! Now, I'm going to show you all some pictures of the inside of this pie. Please remember though, that, as I've mentioned before, I'm not a photographer. Meringue pies do not hold up long, either, so by the time I went to photograph this (a few hours after our Thanksgiving feast) the pie had already started weeping and didn't look as pretty. It looks prettier when it's fresher, but I promise it tasted heavenly. I hope you enjoy this classic recipe, and that it becomes a new tradition with your family as it has with mine! 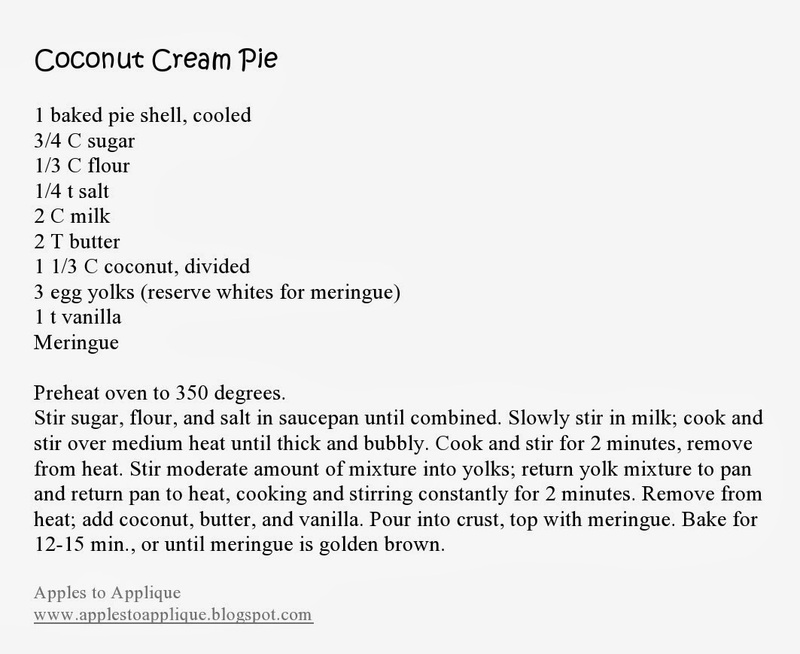 Coconut Cream pie is my favorite!! Yum-Yum! Pinning!